Teach Kids the ABC’s of Good Personal Hygiene! Simple Lessons Can Help Prevent the Spread of Germs in Your Home. Teaching kids good health manners can go a long way to stop the spread of viruses and bacteria. Here are some simple lessons to teach children how to prevent spreading their germs to others—and to help them avoid catching someone else’s germs. According to the Centers for Disease Control and Prevention (CDC), more than 200,000 people are hospitalized and 36,000 people die each year from seasonal flu complications. Follow these three basic steps to teach your kids how they can help fight the war on germs in your home by practicing good personal hygiene. A. Encourage Kids to Wash Hands Often. when they are sick, and especially after sneezing, blowing their nose or coughing. B: Teach Them the Correct Way to Wash Up. Scrub hands for at least 20 seconds—the time it takes to sing either “Happy Birthday” or “Row, Row, Row Your Boat” twice. Make sure they use warm water and enough soap to make a good lather, and that they scrub hands front and back and in between fingers. Teach them to rinse hands well under running water and to dry thoroughly with a paper towel. Since faucets collect germs, the safest practice is to teach children to use their paper towel to turn off the faucet when they are finished drying their hands. C. Get Them to Cover Up and Use the “Elbow” Cough. Teach children to cough or sneeze in a tissue whenever possible. But when there are no tissues available, teach them to cough and sneeze into the crook of their elbow, as indicated in the photo at left. Tell them not to sneeze or cough into their hands. Children touch up to 300 surfaces per half hour so the “elbow cough” is an effective way to prevent large numbers of germs from spreading both inside and outside the home. Alcohol‐based hand sanitizers are an effective way to prevent viral and bacterial based illnesses. However, always remember to monitor kid’s use of hand sanitizers. Most contain sixty percent alcohol and can be very harmful if ingested! 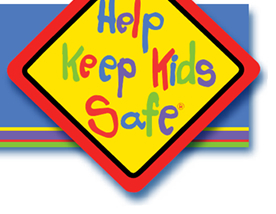 For more information on how to help prevent the spread of germs in your home and to register for Free Safety Alerts, visit Montlick.com or HelpKeepKidsSafe.org and click on: Family Safety and Legal Tips. Teach Kids the ABC's of Good Personal Hygiene is presented by Atlanta Injury Attorneys, Montlick & Associates. Montlick & Associates, Attorneys at Law is committed to helping you keep your family safe...even from those nasty germs your kids may pick up from the playground. The good news is you can help fight the war on germs in your home by teaching your children how to practice good personal hygiene. Share the tips above with your family to prevent the spread of harmful viruses and bacteria in your home from Montlick & Associates!